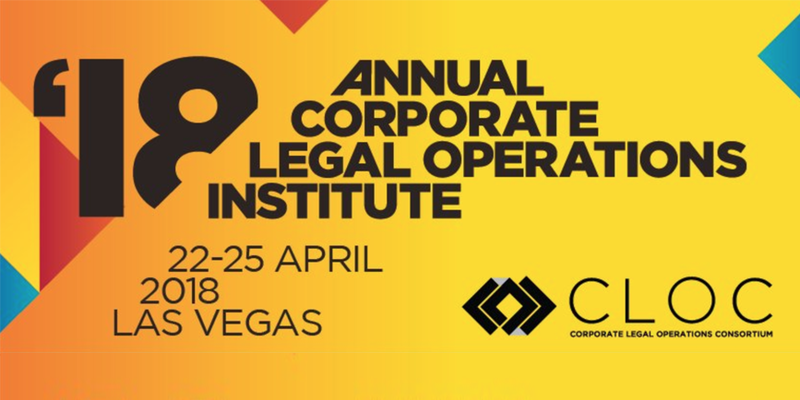 April 22 – 26, 2018|Zapproved is a proud sponsor of CLOC 2018, the Corporate Legal Operations Institute. The May conference features over 50 content rich sessions, a large exhibit hall and numerous networking opportunities. The CLOC Institute is one of the largest gatherings of Legal Operations professionals that brings the entire corporate legal ecosystem together to collaborate, share and transform the future of legal services delivery.